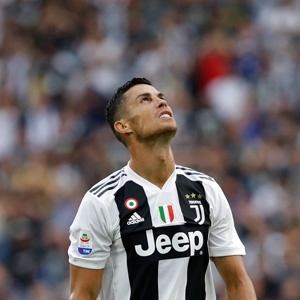 Cape Town - Disgruntled Juventus and Genoa fans demanded a refund for tickets purchased after it emerged that Cristiano Ronaldo would be rested for the Serie A clash on Sunday. According to the Corriere della Sera newspaper, Max Allegri's decision to omit Ronaldo from the Juventus match-day squad prompted an influx of calls to the Genoa ticket office requesting refunds. Without Ronaldo Juve slipped to their first Serie A defeat in 11 months but still hold a huge 15 point lead at the top of the table.